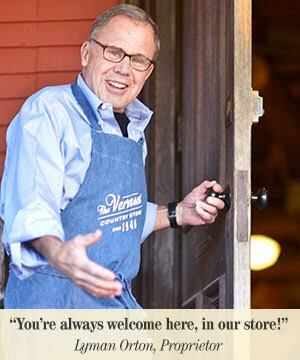 The Vermont Country Store Cookbook has been decades in the making! The 120 recipes included in our cookbook have their roots in five generations of the Orton and Wilcox families. 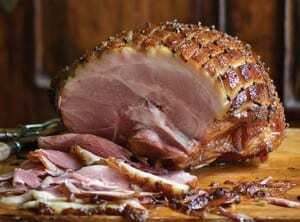 Just as there is a long history of storekeepers in our family, there is also a legacy of fresh-from-the-farm cooking. Our grandmother, Mildred Ellen Wilcox Orton, knew her way around a kitchen. 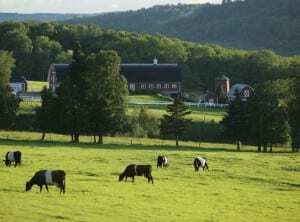 Born on her family’s dairy farm in Manchester, Vermont, she grew up eating wholesome meals made from ingredients picked fresh out of their garden. Her book, Cooking with Wholegrains: The Basic Wholegrain Cookbook, was published in 1947, long before healthy eating became a national obsession. To this day, we honor our Grandma with our selection of Mildred’s foods, all created with her original recipes. Inside our hardcover cookbook are 11 chapters with titles like The Dairy Barn, which contains breakfast and brunch recipes; The Kitchen Garden, sharing our favorite soup, salad and side recipes. Potlucks and Crowd Pleasers covers dishes and desserts for gathering and celebrations, while Wilds and Woods includes delectable dishes for mushrooms, wild game, and berries. 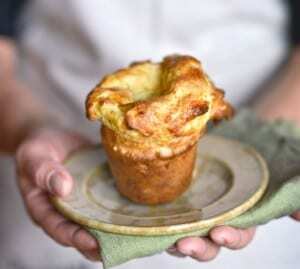 Learn how to make Cheddar Breakfast Popovers, Homemade Farmhouse Yogurt, and Mildred’s Maple-Glazed Ham. Have a bumper crop of zucchini? You’ll appreciate our Blueberry and Zucchini Quick Bread recipe! Still have green tomatoes in fall? Don’t let them go to waste! Put them to good use with our Green Tomato and Pepper Piccalilli recipe and enjoy them all winter long. Perhaps you’ll be most pleased to learn that our recipes don’t require hard-to-find or expensive specialty ingredients. You probably already keep most of them on hand in your pantry or refrigerator. This stays true to the original recipes and our family’s approach to everyday eating: keep meals simple, wholesome, and delicious. 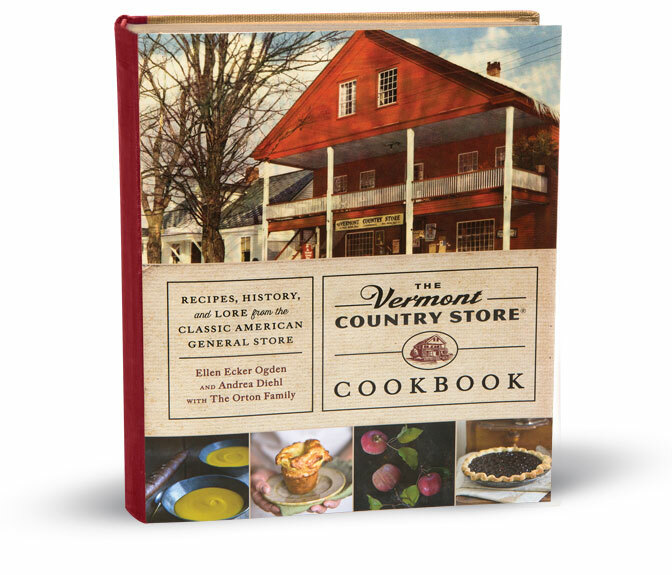 Family stories, history of The Vermont Country Store, and Vermont lore are sprinkled throughout the cookbook. Our father, Lyman, and Cabot, Gardner, and I have enjoyed sharing our memories about Vrest and Mildred, and what it was like growing up in our beloved state of Vermont. Our book also features sidebars of Vermont history and insights into the New Englanders’ can-do attitude. A picture says a thousand words, as the old saying goes, and we believe it’s true. Our cookbook is a feast for the eyes, as well as the stomach. With more than 100 color photographs of prepared recipes, stunning Vermont scenery, and many black-and-white archival photos, you’ll find a place for it on your coffee table as well as your kitchen. Making it even more personal, every food photograph was shot in our Orton family home in Weston, by professional photographer Matthew Benson. Our cookbook would never have come to fruition if not for the organizational skills, creative vision and writing expertise of our friends and fellow Vermonters, Ellen Ecker Ogden and Andrea Diehl. Ellen is a garden artist, speaker and cookbook author who has offered keynotes, presentations, and workshops on kitchen garden designs and the art of growing food based on her books, From the Cook’s Garden and The Complete Kitchen Garden. A writer and editor with more than thirty years in the communications business, Andrea’s varied work background included managing the Copy Department at The Vermont Country Store, writing speeches for the president of Princeton University, handling PR for a U.S. attorney, and writing about her great passion as food editor of the Philadelphia Daily News. 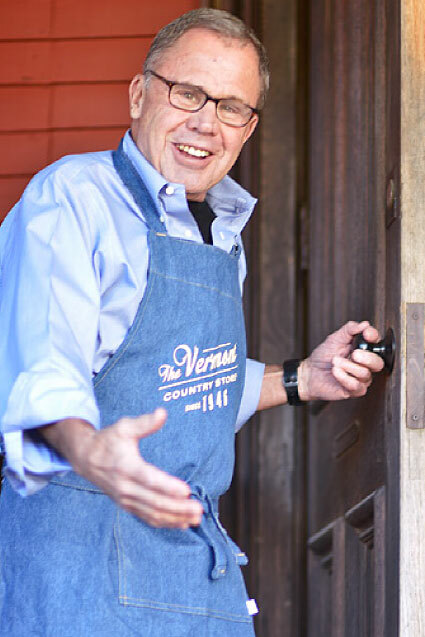 With its delectable heirloom recipes, gorgeous photography, history and lore from our country store, our cookbook is the perfect gift for any occasion. 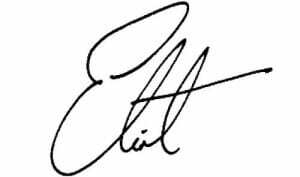 Click here to order your copy now.